The Skiing Cow is trying to learn a bit of Skiing. Help your cow to collect as many Gold Stars as possible without hitting the boulders. 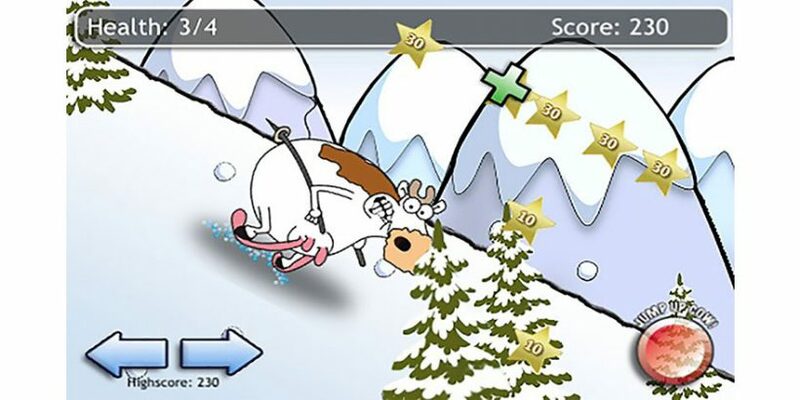 Move left, right and hit the jump button to get the higher value stars and jump over the obstacles – good luck. And Have fun!